“Surinam” redirects here. For the former Dutch colony, see Surinam (Dutch colony). For the constituent country in the Kingdom of the Netherlands, see Suriname (Kingdom of the Netherlands). Suriname (/ˈsjʊərɪnæm/, US also /-nɑːm/, also sometimes spelled Surinam), officially known as the Republic of Suriname (Dutch: Republiek Suriname [reːpyˌblik syːriˈnaːmə]), is a country on the northeastern Atlantic coast of South America. It is bordered by the Atlantic Ocean to the north, French Guiana to the east, Guyana to the west and Brazil to the south. At just under 165,000 square kilometers (64,000 square miles), it is the smallest sovereign state in South America. [note 1] Suriname has a population of approximately 558,368, most of whom live on the country’s north coast, in and around the capital and largest city, Paramaribo. British settlers, who founded the first European colony at Marshall’s Creek along the Suriname River, spelled the name as “Surinam”. When the territory was taken over by the Dutch, it became part of a group of colonies known as Dutch Guiana. 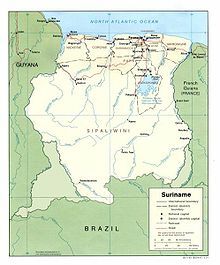 The official spelling of the country’s English name was changed from “Surinam” to “Suriname” in January 1978, but “Surinam” can still be found in English. A notable example is Suriname’s national airline, Surinam Airways. The older English name is reflected in the English pronunciation, /ˈsjʊərɪnæm, –nɑːm/. In Dutch, the official language of Suriname, the pronunciation is [ˌsyriˈnaːmə], with the main stress on the third syllable and a schwa terminal vowel. Indigenous settlement of Suriname dates back to 3,000 BC. The largest tribes were the Arawak, a nomadic coastal tribe that lived from hunting and fishing. They were the first inhabitants in the area. The Carib also settled in the area and conquered the Arawak by using their superior sailing ships. 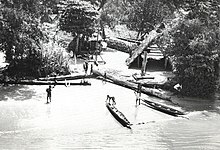 They settled in Galibi (Kupali Yumï, meaning “tree of the forefathers”) at the mouth of the Marowijne River. While the larger Arawak and Carib tribes lived along the coast and savanna, smaller groups of indigenous people lived in the inland rainforest, such as the Akurio, Trió, Warrau, and Wayana. Beginning in the 16th century, French, Spanish and English explorers visited the area. A century later, Dutch and English settlers established plantation colonies along the many rivers in the fertile Guiana plains. The earliest documented colony in Guiana was an English settlement named Marshall’s Creek along the Suriname River. After that there was another short-lived English colony called Willoughbyland that lasted from 1650 to 1674. 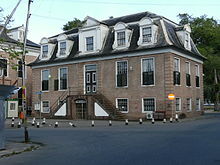 In 1683, the Society of Suriname was founded by the city of Amsterdam, the Van Aerssen van Sommelsdijck family, and the Dutch West India Company. The society was chartered to manage and defend the colony. The planters of the colony relied heavily on African slaves to cultivate, harvest and process the commodity crops of coffee, cocoa, sugar cane and cotton plantations along the rivers. Planters’ treatment of the slaves was notoriously bad—historian C. R. Boxer wrote that “man’s inhumanity to man just about reached its limits in Surinam”—and many slaves escaped the plantations. With the help of the native South Americans living in the adjoining rain forests, these runaway slaves established a new and unique culture in the interior that was highly successful in its own right. They were known collectively in English as Maroons, in French as Nèg’Marrons (literally meaning “brown negroes”, that is “pale-skinned negroes”), and in Dutch as Marrons. The Maroons gradually developed several independent tribes through a process of ethnogenesis, as they were made up of slaves from different African ethnicities. 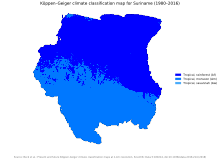 These tribes include the Saramaka, Paramaka, Ndyuka or Aukan, Kwinti, Aluku or Boni, and Matawai. Although Suriname’s population remains relatively small, because of this complex colonization and exploitation, it is one of the most ethnically and culturally diverse countries in the world. During World War II, on 23 November 1941, under an agreement with the Netherlands government-in-exile, the United States occupied Suriname to protect the bauxite mines to support the Allies’ war effort. In 1942, the Dutch government-in-exile began to review the relations between the Netherlands and its colonies in terms of the post-war period. 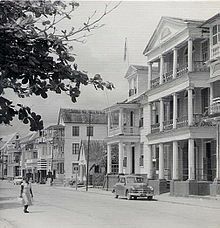 In 1954, Suriname became one of the constituent countries of the Kingdom of the Netherlands, along with the Netherlands Antilles and the Netherlands. In this construction, the Netherlands retained control of its defense and foreign affairs. 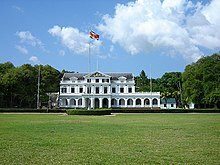 In 1974, the local government, led by the National Party of Suriname (NPS) (whose membership was largely Creole, meaning ethnically African or mixed African-European) started negotiations with the Dutch government leading towards full independence, which was granted on 25 November 1975. 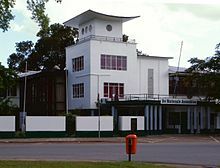 A large part of Suriname’s economy for the first decade following independence was fueled by foreign aid provided by the Dutch government. On 25 February 1980, a military coup overthrew Arron’s government. It was initiated by a group of sixteen sergeants, led by Dési Bouterse. Opponents of the military regime attempted counter-coups in April 1980, August 1980, 15 March 1981, and again on 12 March 1982. The first counter attempt was led by Fred Ormskerk, the second by Marxist-Leninists, the third by Wilfred Hawker, and the fourth by Surendre Rambocus. National elections were held in 1987. The National Assembly adopted a new constitution that allowed Bouterse to remain in charge of the army. Dissatisfied with the government, Bouterse summarily dismissed the ministers in 1990, by telephone. This event became popularly known as the “Telephone Coup”. His power began to wane after the 1991 elections. The brutal civil war between the Suriname army and Maroons loyal to rebel leader Ronnie Brunswijk, begun in 1986, continued and its effects further weakened Bouterse’s position during the 1990s. Due to the civil war, more than 10,000 Surinamese, mostly Maroons, fled to French Guiana in the late 1980s. In the elections held on Tuesday, 25 May 2010, the Megacombinatie won 23 of the National Assembly seats followed by Nationale Front with 20 seats. A much smaller number, important for coalition-building, went to the “A‑combinatie” and to the Volksalliantie. The parties held negotiations to form coalitions. Elections were held on 25 May 2015, and the National Assembly again elected Desire Bouterse as President. The President of Suriname is elected for a five-year term by a two-thirds majority of the National Assembly. If at least two-thirds of the National Assembly cannot agree to vote for one presidential candidate, a People’s Assembly is formed from all National Assembly delegates and regional and municipal representatives who were elected by popular vote in the most recent national election. The president may be elected by a majority of the People’s Assembly called for the special election. As head of government, the president appoints a sixteen-minister cabinet. A vice president, is normally elected for a five-year term at the same time as the president, by a simple majority in the National Assembly or People’s Assembly. There is no constitutional provision for removal or replacement of the president, except in the case of resignation. President Dési Bouterse was convicted and sentenced in the Netherlands to 11 years of imprisonment for drug trafficking. He is the main suspect in the court case concerning the ‘December murders,’ the 1982 assassination of opponents of military rule in Fort Zeelandia, Paramaribo. These two cases still strain relations between the Netherlands and Suriname. Due to Suriname’s Dutch colonial history, Suriname had a long-standing special relationship with the Netherlands. The Dutch government has stated that it will only maintain limited contact with the president. Since 1991, the United States has maintained positive relations with Suriname. The two countries work together through the (CBSI) and the U.S. President’s Emergency Plan for AIDS Relief (PEPFAR). Suriname also receives military funding from the U.S. Department of Defense. On 17 February 2005, the leaders of Barbados and Suriname signed the “Agreement for the deepening of bilateral cooperation between the Government of Barbados and the Government of the Republic of Suriname.” On 23–24 April 2009, both nations formed a Joint Commission in Paramaribo, Suriname, to improve relations and to expand into various areas of cooperation. They held a second meeting toward this goal on 3–4 March 2011, in Dover, Barbados. Their representatives reviewed issues of agriculture, trade, investment, as well as international transport. In the late 2000s, Suriname intensified development cooperation with other developing countries. China’s South-South cooperation with Suriname has included a number of large-scale infrastructure projects, including port rehabilitation and road construction. Brazil signed agreements to cooperate with Suriname in education, health, agriculture, and energy production. Suriname is the smallest independent country in South America. Situated on the Guiana Shield, it lies mostly between latitudes 1° and 6°N, and longitudes 54° and 58°W. The country can be divided into two main geographic regions. The northern, lowland coastal area (roughly above the line Albina-Paranam-Wageningen) has been cultivated, and most of the population lives here. The southern part consists of tropical rainforest and sparsely inhabited savanna along the border with Brazil, covering about 80% of Suriname’s land surface. Located in the upper Coppename River watershed, the Central Suriname Nature Reserve has been designated a UNESCO World Heritage Site for its unspoiled forests and biodiversity. There are many national parks in the country including Galibi National Reserve along the coast; Brownsberg Nature Park and Eilerts de Haan Nature Park in central Suriname; and the Sipaliwani Nature Reserve on the Brazilian border. In all, 16% of the country’s land area is national parks and lakes, according to the UNEP World Conservation Monitoring Centre. Suriname’s democracy gained some strength after the turbulent 1990s, and its economy became more diversified and less dependent on Dutch financial assistance. Bauxite (aluminium ore) mining continues to be a strong revenue source, and the discovery and exploitation of oil and gold has added substantially to Suriname’s economic independence. Agriculture, especially rice and bananas, remains a strong component of the economy, and ecotourism is providing new economic opportunities. More than 80% of Suriname’s land-mass consists of unspoiled rain forest; with the establishment of the Central Suriname Nature Reserve in 1998, Suriname signalled its commitment to conservation of this precious resource. The Central Suriname Nature Reserve became a World Heritage Site in 2000. A small but influential number of Europeans remain in the country, comprising about 1 percent of the population. They are descended mostly from Dutch 19th-century immigrant farmers, known as “Boeroes” (derived from boer, the Dutch word for “farmer”), and to a lesser degree other European groups, such as Portuguese from Madeira. Many Boeroes left after independence in 1975. The vast majority of Suriname’s inhabitants (about 90%) live in Paramaribo or on the coast. 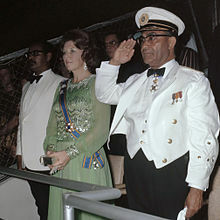 The choice of becoming Surinamese or Dutch citizens in the years leading up to Suriname’s independence in 1975 led to a mass migration to the Netherlands. This migration continued in the period immediately after independence and during military rule in the 1980s and for largely economic reasons extended throughout the 1990s. 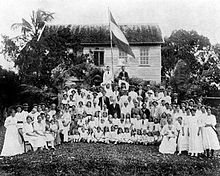 The Surinamese community in the Netherlands numbered 350,300 as of 2013 (including children and grandchildren of Suriname migrants born in The Netherlands); this is compared to approximately 566,000 Surinamese in Suriname itself. Suriname’s religious makeup is heterogeneous and reflective of the country’s multicultural character. 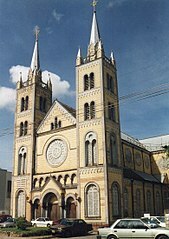 According to the 2012 census, 48.4% were Christians; 26.7% of Surinamese were Protestants (11.18% Pentecostal, 11.16% Moravian, and 4.4% of various other Protestant denominations) and 21.6% were Roman Catholics. 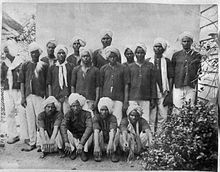 Hindus formed the second-largest religious group in Suriname, comprising 22.3% of the population, the third largest proportion of any country in the Western Hemisphere after Guyana and Trinidad and Tobago, both of which also have large proportions of Indians. Almost all practitioners of Hinduism are found among the Indo-Surinamese population. Muslims constitute 13.9% of the population, the highest proportion of Muslims in the Americas; they are largely of Javanese or Indian descent. 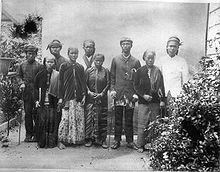 Other religious groups include Winti (1.8%), an Afro-American religion practiced mostly by those of Maroon ancestry; Javanism (0.8%), a syncretic faith found among some Javanese Surinamese; and various indigenous folk traditions that are often incorporated into one of the larger religions (usually Christianity). In the 2012 census, 7.5% of the population declared they had “no religion”, while a further 3.2% left the question unanswered. In Paramaribo, Dutch is the main home language in two-thirds of households. The recognition of “Surinaams-Nederlands” (“Surinamese Dutch“) as a national dialect equal to “Nederlands-Nederlands” (“Dutch Dutch”) and “Vlaams-Nederlands” (“Flemish Dutch”) was expressed in 2009 by the publication of the Woordenboek Surinaams Nederlands (Surinamese–Dutch Dictionary). 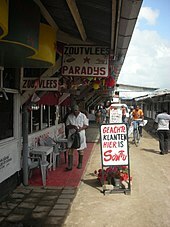 Only in the interior of Suriname is Dutch seldom spoken. The national capital, Paramaribo, is by far the dominant urban area, accounting for nearly half of Suriname’s population and most of its urban residents; indeed, its population is greater than the next nine largest cities combined. Most municipalities are located within the capital’s metropolitan area, or along the densely populated coastline. Owing to the country’s multicultural heritage, Suriname celebrates a variety of distinct ethnic and religious festivals. New Year’s Eve in Suriname is called Oud jaar, or “old year”. It is during this period that the Surinamese population goes to the city’s commercial district to watch “demonstrational fireworks“. 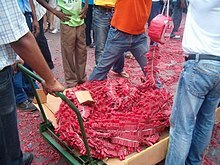 The bigger stores invest in these firecrackers and display them out in the streets. Every year the length of them is compared, and high praises are given for the company that has imported the largest ribbon. These celebrations start at 10 in the morning and finish the next day. The day is usually filled with laughter, dance, music, and drinking. When the night starts, the big street parties are already at full capacity. The most popular fiesta is the one that is held at in the main tourist district. The parties there stop between 10 and 11 at night, after which people go home to light their pagaras (red-firecracker-ribbons) at midnight. After 12, the parties continue and the streets fill again until daybreak. Cricket is popular in Suriname to some extent, influenced by its popularity in the Netherlands and in neighbouring Guyana. The Surinaamse Cricket Bond is an associate member of the International Cricket Council (ICC). Suriname and Argentina are the only ICC associates in South America, although Guyana is represented on the West Indies Cricket Board, a full member. The national cricket team was ranked 47th in the world and sixth in the ICC Americas region as of June 2014, and competes in the World Cricket League (WCL) and ICC Americas Championship. Iris Jharap, born in Paramaribo, played women’s One Day International matches for the Dutch national side, the only Surinamer to do so. In the sport of badminton the local heroes are Virgil Soeroredjo & Mitchel Wongsodikromo and also Crystal Leefmans. All winning medals for Suriname at the Carebaco Caribbean Championships, the Central American and Caribbean Games (CACSO Games) and also at the South American Games, better known as the . Virgil Soeroredjo also participated for Suriname at the 2012 London Summer Olympics, only the second badminton player, after Oscar Brandon, for Suriname to achieve this. Current National Champion Sören Opti was the third Surinamese badminton player to participate at the Summer Olympics in 2016. Involving the sport of tennis, historic national champions include (men’s single national champion for 10 consecutive years between the years 1931–41, plus champion of multiple future titles). Herman Tjin-A-Djie (men’s national champion 1941 and 1945, plus men’s national double champion for 10 consecutive years with his brother Leo). Leo Tjin-A-Djie (between 1948 and 1957 he was eight-time national champion and men’s national double champion for 10 consecutive years with his brother Herman). From Leo spawned the Opa Leo Tjin-A-Djie Tennis tournament. Randolf Tjin-A-Djie was national champion for 1960. Due to the variety of habitats and temperatures, biodiversity in Suriname is considered high. In October 2013, 16 international scientists researching the ecosystems during a three-week expedition in Suriname’s Upper Palumeu River Watershed catalogued 1,378 species and found 60—including six frogs, one snake, and 11 fish—that may be previously unknown species. According to the environmental non-profit Conservation International, which funded the expedition, Suriname’s ample supply of fresh water is vital to the biodiversity and healthy ecosystems of the region. On 21 March 2013, Suriname’s REDD+ Readiness Preparation Proposal (R-PP 2013) was approved by the member countries of the Participants Committee of the (FCPF). Traditionally, De Ware Tijd was the major newspaper of the country, but since the ’90s Times of Suriname, De West and Dagblad Suriname have also been well-read newspapers; all publish primarily in Dutch. ABC (Ch. 4-1, 2), RBN (Ch. 5-1, 2), Rasonic TV (Ch. 7), STVS (Ch. 8–1, 2, 3, 4, 5, 6), Apintie (Ch. 10–1), ATV (Ch. 12–1, 2, 3, 4), Radika (Ch. 14), SCCN (Ch. 17–1, 2, 3), Pipel TV (Ch. 18–1, 2), Trishul (Ch. 20–1, 2, 3, 4), Garuda (Ch. 23–1, 2, 3), Sangeetmala (Ch. 26), Ch. 30, Ch. 31, Ch.32, Ch.38, SCTV (Ch. 45). Also listened to is mArt, a broadcaster from Amsterdam founded by people from Suriname. is one of the popular cartoons in Suriname. The hotel industry is important to Suriname’s economy. The rental of apartments, or the rent-a-house phenomenon, is also popular in Suriname. Crime rates continue to rise in Paramaribo and armed robberies are not uncommon. According to the current U.S. Department of State Travel Advisory at the date of the 2018 report’s publication, Suriname has been assessed as Level 1: exercise normal precautions. Suriname is one of the few countries in the world where a synagogue is located next to a mosque. The two buildings are located next to each other in the centre of Paramaribo and have been known to share a parking facility during their respective religious rites, should they happen to coincide with one another. ^ “Censusstatistieken 2012” (PDF). Algemeen Bureau voor de Statistiek in Suriname (General Statistics Bureau of Suriname). p. 76. ^ “The World Factbook – Central Intelligence Agency”. cia.gov. ^ a b Algemeen Bureau voor de Statistiek. “Geselecteerde Census variabelen per district (Census-profiel)” (PDF). ABS. Archived from the original (PDF) on 10 September 2008. Retrieved 24 July 2008. ^ a b c “Census statistieken 2012”. Statistics-suriname.org. Retrieved 13 July 2014. ^ “Definitieve Resultaten (Vol I) Etniciteit”. Presentatie Evaluatie Rapport CENSUS 8: 42. ^ a b c d “Suriname”. International Monetary Fund. ^ “GINI index”. World Bank. Retrieved 5 December 2017. ^ a b c d e f “Suriname”. The World Factbook. Central Intelligence Agency. 2013. Retrieved 4 August 2013. ^ a b Baynes, Thomas Spencer (1888). Encyclopædia Britannica: A Dictionary of Arts, Sciences, and General Literature, Volume XI (Ninth Edition—Popular Reprint ed.). In 1614, the states of Holland granted to any Dutch citizen a four years’ monopoly of any harbour or place of commerce which he might discover in that region (Guiana). The first settlement, however, in Suriname (in 1630) was made by an Englishman, whose name is still preserved by Marshall’s Creek. Douma, Michael J. (2015). “The Lincoln Administration’s Negotiations to Colonize African Americans in Dutch Suriname” (PDF). Civil War History. 61 (2): 111–137. doi:10.1353/cwh.2015.0037. ^ “Suriname Country Profile”. BBC. 14 September 2012. ^ “Multicultural Netherlands”. UC Berkeley. 2010. Archived from the original on 23 July 2012. Retrieved 13 August 2012. ^ Obituary “The Guardian“, 24 January 2001. ^ Betty Sedoc-Dahlberg. “Refugees from Suriname”. Retrieved 26 August 2016. ^ “Bouterse heeft Daal en Rambocus doodgeschoten”. Network Star Suriname, Paramaribo, Suriname. 23 March 2012. ^ “Panorama de la population immigrée en Guyane” (PDF). INSEE. Retrieved 2019-02-02. ^ “Suriname: Government”. The World Factbook. 2018. Retrieved 6 May 2018. ^ a b “The Netherlands and Suriname are closely linked”. MinBuZa.nl. 18 November 2011. Archived from the original on 14 July 2014. Retrieved 13 July 2014. ^ “Holland to redefine relationship with Suriname”. Jamaica Gleaner. 23 March 2011. Retrieved 13 July 2014. ^ “Suriname”. US Department of State. 3 September 2013. Retrieved 13 July 2014. ^ “European Union – EEAS (European External Action Service) | EU Relations with Suriname”. Europa (web portal). 19 June 2014. Retrieved 13 July 2014. ^ “STATEMENT BY THE RIGHT HONOURABLE OWEN S. ARTHUR, PRIME MINISTER, BARBADOS, ON THE OCCASION OF THE SIGNING OF THE AGREEMENT FOR THE DEEPENING OF BILATERAL COOPERATION BETWEEN THE GOVERNMENT OF BARBADOS AND THE GOVERNMENT OF THE REPUBLIC OF SURINAME, 17 FEBRUARY 2005, PARAMARIBO, SURINAME”. Caribbean Community (CARICOM). 17 February 2005. Archived from the original on 3 August 2012. Retrieved 6 March 2011. ^ “BGIS Media – Press Releases – Second Meeting of the Barbados/Suriname Joint Commission”. Gisbarbados.gov.bb. Retrieved 13 July 2014. ^ “Suriname at GeoHive”. Geohive.com. Retrieved 13 July 2014. ^ “Suriname – Foreign trade”. Encyclopedia of the Nations. 2010. Retrieved 18 August 2012. ^ “Violence erupts in Surinam Archived 2 January 2010 at the Wayback Machine“. Radio Netherlands Worldwide. 26 December 2009. ^ Joshua Project. “Joshuaproject.net”. Joshuaproject.net. Retrieved 28 March 2010. ^ International Organization for Migration. “World Migration”. Retrieved 2019-02-03. ^ “Het Nederlandse taalgebied” (in Dutch). Nederlandse Taalunie. 2005. Retrieved 4 November 2008. ^ Romero, Simon (23 March 2008). “In Babel of Tongues, Suriname Seeks Itself”. The New York Times. ^ “A Sabbatical in Suriname – Fun Facts, Questions, Answers, Information”. Funtrivia.com. 25 February 1980. Archived from the original on 22 September 2014. Retrieved 13 July 2014. ^ “Het debuut van Humphrey Mijnals”. Olympisch Stadion. Archived from the original on 21 September 2013. ^ “Ricky W. Stutgard, De eerste Surinaamse sportencyclopedie (1893–1988)· dbnl”. Dbnl.org. Retrieved 13 July 2014. ^ United Nations High Commissioner for Refugees. “The UN Refugee Agency”. Unhcr.org. Archived from the original on 10 May 2011. Retrieved 28 March 2010. ^ a b “United Nations Development Programme”. Hdrstats.undp.org. Archived from the original on 18 August 2009. Retrieved 28 March 2010. ^ New species discovered in Surname’s mountain rainforests. The Telegraph (2 October 2013). Retrieved 7 October 2013. ^ Scientists discover scores of species in Suriname’s ‘Tropical Eden’. NBC News (7 October 2013). Retrieved 7 October 2013. ^ De Koninck, Marc; de Vries, Ellen (2008). K’ranti! De Surinaamse pers 1774–2008 (PDF). pp. 235–243. ^ “Tonka-eiland Saramaccaans kennis-centrum en Eco-toeristisch paradijs”. Tonka-Eiland. 2009. Archived from the original on 8 February 2013. Retrieved 2 October 2012. ^ Brouns, Rachelle (February 2011). “People in the beating heart of the Amazon” (PDF). Radboud university Nijmegen. Retrieved 17 December 2011. “Suriname”. The World Factbook. Central Intelligence Agency. 1 As the “Turkish Cypriot State”.